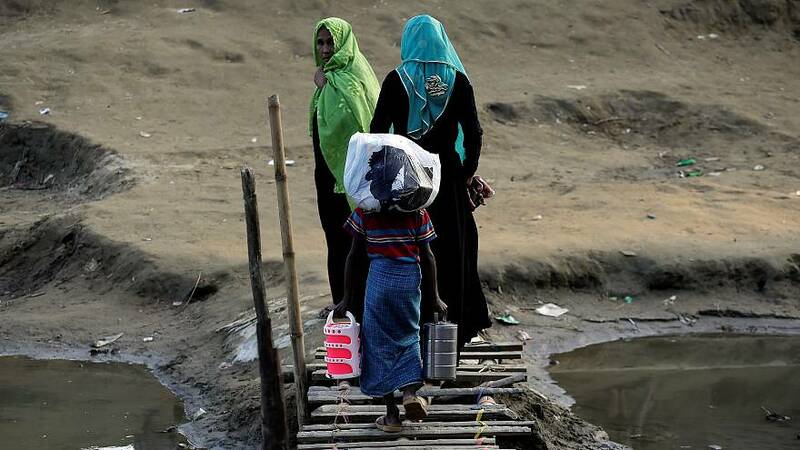 A leading United Nations official has told the Security Council of what she called "heartbreaking and horrific accounts" of sexual assaults by Myanmar soldiers on the Muslim Rohingya minority, many of whom have fled to neighbouring Bangladesh. The council is being urged to visit the region and demand an end to the violence. "Some witnesses reported women and girls being tied to either a rock or a tree before multiple soldiers literally raped them to death," Pramila Patten told the council. She is the UN Special Envoy on Sexual Violence. In reply Myanmar's Ambassador to the UN, Hau Do Suan, said his government does not condone any human rights violations, but that any allegations of crimes against humanity were unsubstantiated. "The words 'ethnic cleansing' and 'crimes against humanity' should not be used lightly, without concrete evidence and final legal determination," he added. More than 625,000 refugees have fled since the latest round of violence began in August. The UN has called the the Rohingya the most persecuted minority on earth, accusing Myanmar of denying them citizenship and basic human rights.